Today's binding is a standard 'sewn on tapes' variety, but then bound to the case by tying the sewing supports through the spine piece. 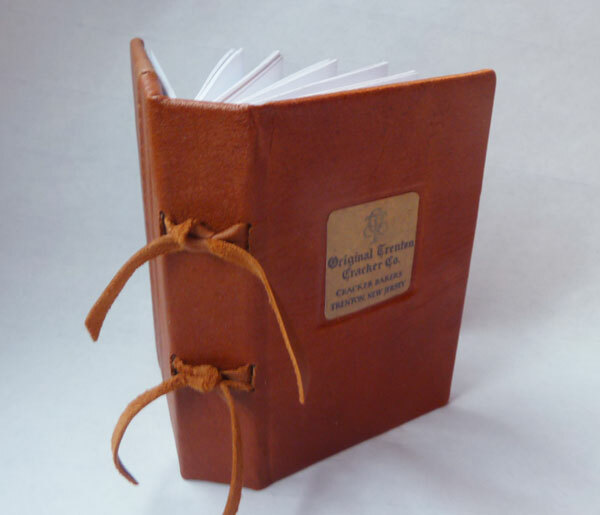 This particular example has recycled leather on the cover and matching leather sewing supports. There are a lot of examples and variations of this technique in Laplantz' book, Cover to Cover.